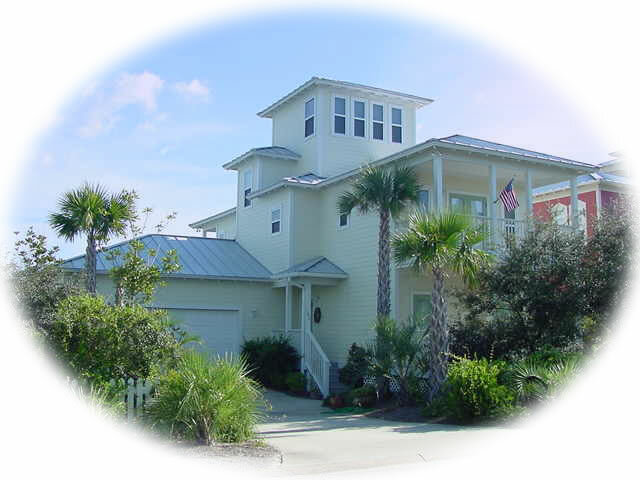 If you are looking for the ideal vacation spot where you can have the best of both worlds, activity and the hustle/bustle when you want them, but privacy and space when you desire, then the Flamingo Cottage located in Santa Rosa Beach is the ideal vacation home for you. Santa Rosa Beach is located along scenic Highway 30-A in South Walton County, moments from Destin, Seaside, Grayton Beach and all of the beaches of South Walton. This gorgeous secluded beach offers sugar white sands, beautiful blue water, and all of the relaxation that you can handle. If you somehow tire of the beautiful beaches, the cottage is positioned 10 steps from the community pool. With approximately 40 homes in the private community, the area maintains a degree of warmth and privacy that will only enhance your vacation experience. The Flamingo Cottage is located in the very exclusive private beachfront community of Old Florida Beach. Old Florida Beach community has one private gate that eliminates all traffic except for quests. This allows for the private alleys to become your own personal bike paths. Old Florida Beach offers 1800 feet or over ¼ mile of access to the private beach. There are three private wooden walkways to gain access to your private beach, so you never have to worry about going out to the beach early to secure your “spot”. The east side of the community is bordered by Draper Lake. If you wish to take a stroll by the lake there is a community dock that offers nice views of the lake and ocean. Fishing from the dock is a real thrill to the children. Draper Lake offers a private area for swimming or fishing. Draper Lake can also be accessed via the beach. Old Florida Beach also offers a community pool, with plenty of space for sunbathing or just relaxing and reading a good book. The pool area offers bathroom’s, area to change clothes and shower. The best part of all is that Flamingo Cottage is located 10 steps from the pool and 100 yards to the lake. The private beach access is a short 50-yard walk. More importantly, all of this is yours to enjoy without ever leaving your community. This fully furnished custom built home was built in 2001. It is newly decorated and has approximately 2200 square ft. of living space as well as four covered balconies that includes an additional 500 square foot. Flamingo Cottage offers four bedrooms, three full bathrooms, with a spacious 3rd story tower that can also be used as a private bedroom sleeping two. The best views of the ocean are from the 2nd floor and 3rd story tower. The 3rd story tower also offers great views of Draper Lake. In the afternoon, you can enjoy the sunset in the horizon from your private balconies or 3rd story tower. The cottage will accommodate up to 14 people. The first floor has 3 bedrooms. The largest is the primary master suite with a king size bed, large private bath with Jacuzzi tub, large (two person) shower, and private screened porch. The second bedroom has a queen size bed and private balcony. The third bedroom has a twin over full bunk bed with a trundle and private balcony. All bedrooms have a FLAT SCREEN/BLUE RAY and telephone. The second floor has a large den and kitchen, laundry room, and second master suite. This master suite offers a king bed and access to the second floor bathroom from within the bedroom. For your convenience, the kitchen is fully equipped with all major and minor appliances (especially a working blender!). The laundry room has a washer and dryer. The den has a FLAT SCREEN television, CD stereo, BLUE RAY, queen sleeper sofa, and a beautiful view of the pool and Gulf of Mexico. The third story tower has a pub table, FLAT SCREEN, BLUE RAY player, and a queen sleeper sofa. However, the most enjoyable thing about the tower is the beautiful view of the Gulf of Mexico and Draper Lake. Crown molding, corian countertops, and stone tile are but a few of the amenities offered in this beautiful vacation home! The Flamingo Cottage offers free unlimited long distance calling, free high speed Internet access with WiFi, and free premium channels. To keep your car out of the sea air, there is a large fully in-closed two-car garage. The garage will secure two large SUV’s. The garage also offers space for your beach toys, chairs, umbrellas, bicycles, etc. The driveway offers parking for four additional vehicles. 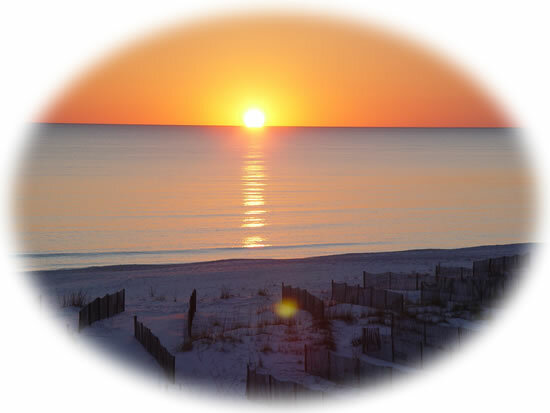 A vacation along the Emerald Coast will be a vacation filled with wonderful memories of the beautiful white sand beaches and gorgeous sunsets for years to come. 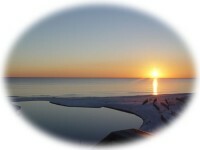 Please consider renting the Flamingo Cottage located on Santa Rosa Beach when making your vacation plans. For the moment, it is one of the best-kept secrets along the beaches of South Walton! In short, all this cottage needs is your family to enjoy it! Sorry, NO pets and NO smoking. Pet boarding is available approximately 3 miles from the cottage. The primary rental person must be 25 years of age or older.